We are looking forward to seeing you at our next concert! 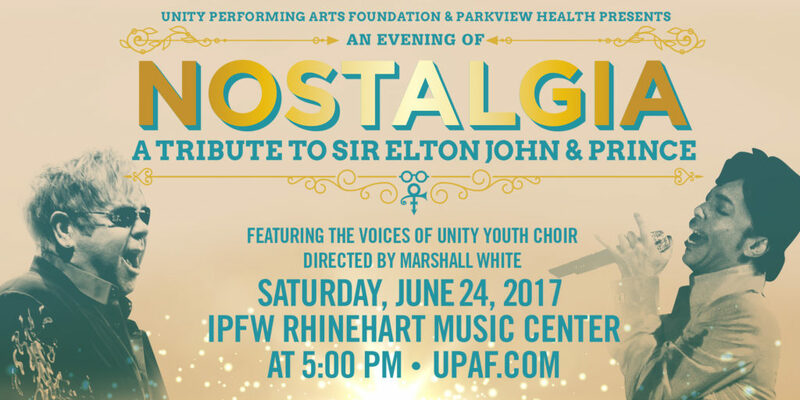 Our “Evening of Nostalgia: A Tribute to Sir Elton John and Prince” is coming up on June 24th at 5:00 pm at the IPFW Rhinehart Music Center. Purchase tickets at nostalgiaconcert.com or call the UNITY office at 260-481-6719. Click the video below to view. Thank you Keen Productions for this video!